Hi everyone, Shawnee here. This month’s challenge for Design Team was about Butterflies. 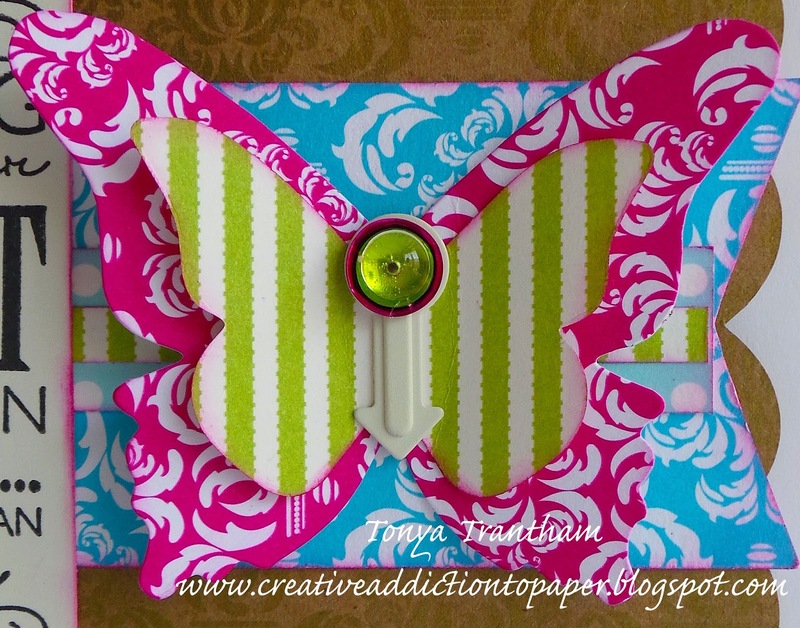 For my card, I made a card using Butterflies from the Cricut Explore Design Space. My card is an A2 size card. 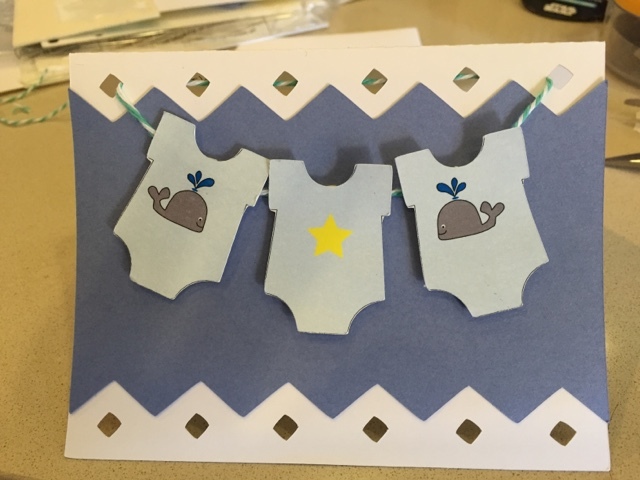 I used Die Cuts with a View Playtime Paper for the background. The bicycle is from the Heritage Cricut Cartridge. The sentiment is from CardzTV Stamps Snail Mail. I hope you enjoyed this fun and easy card. I love the background paper and butterflies. 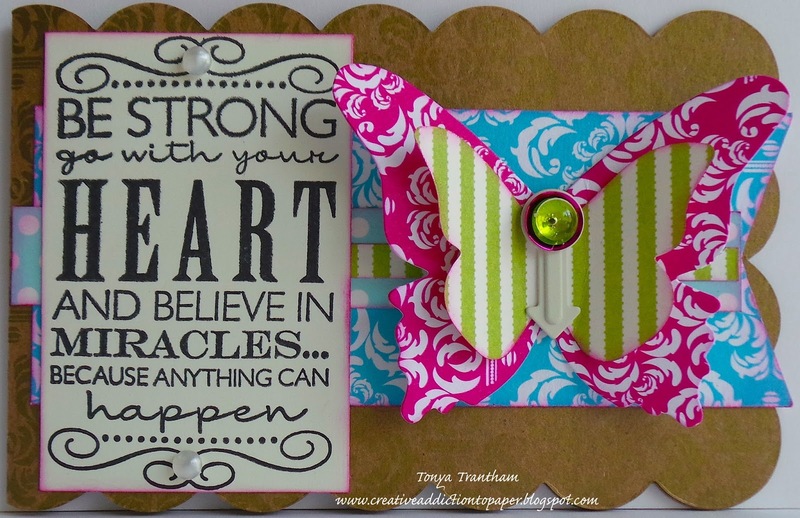 Stay tuned as more of my DT sisters will be sharing fun Butterfly cards to inspire you!! As for crafting I like card making, making mini albums, doing altered items, home decor and many other things. I hope you all enjoy my creations and find inspiration. 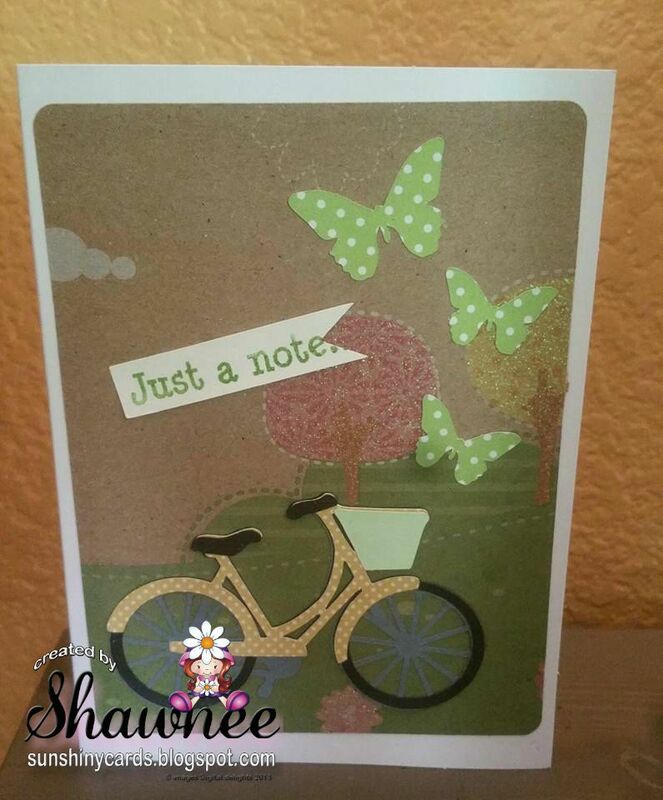 For my first project I made a card using wonderful fall colors, the them this month is Butterflies but I added a tree too. The little butterfly was from a facebook friend that I did a butterfly swap with this summer. She made several butterflies and then I made some for her. I thought this little yellow one was perfect for today’s card. Hope you like my card. I wanted something simple but soft. 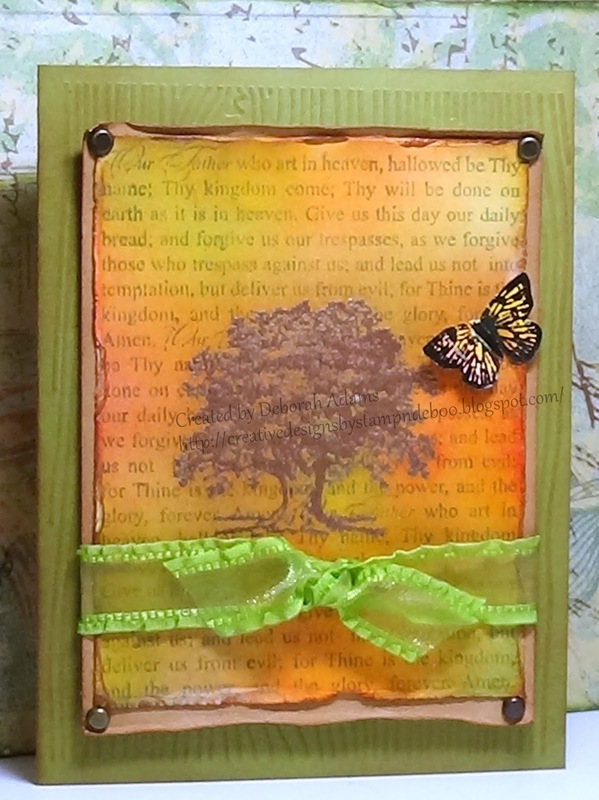 First I stamped my sentiment then used versa mark for the tree image then used copper embossing powder on the tree image. After that I used my TH distress inks over the images. Distressed the edges of the stamped images. Dry embossed the card base. Thank you for stopping by today. Hope you found inspiration from my card if you are working on Thanksgiving cards or projects. Today I’m going to share a card I created for this months card challenge. Theme: Butterflies. What I love most about butterflies is their unique patterns and colors on their wings. Take a look, notice how the wings are popped up, they add dimension and create a sense of movement. 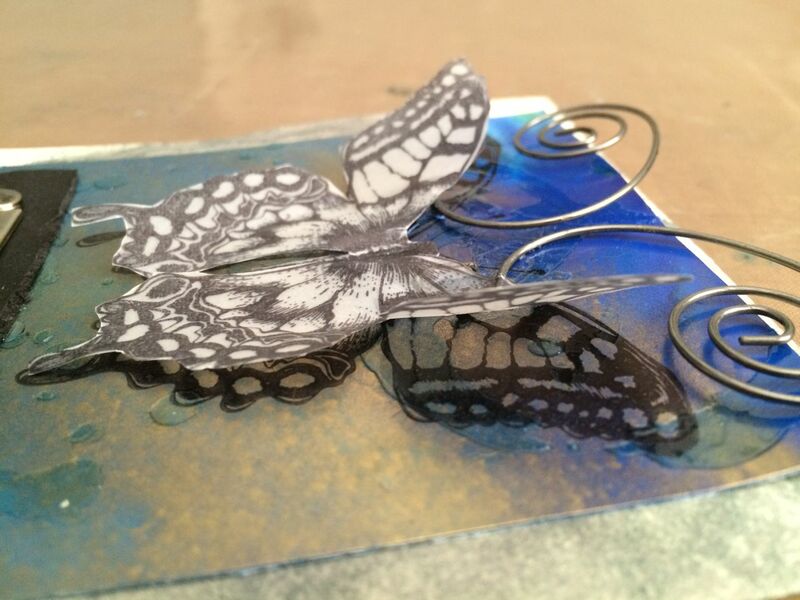 For an added touch I used spiral clips and unwound them to create antennas for the butterfly. 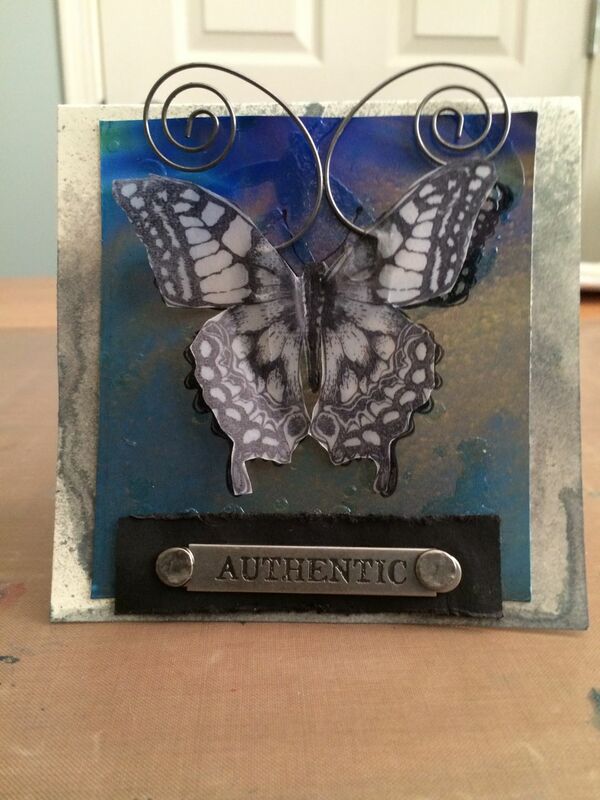 I was inspired by the recent tag I created from Tim Holtz blog. The techniques used on this tag and my card are really cool and a lot of fun to play with. 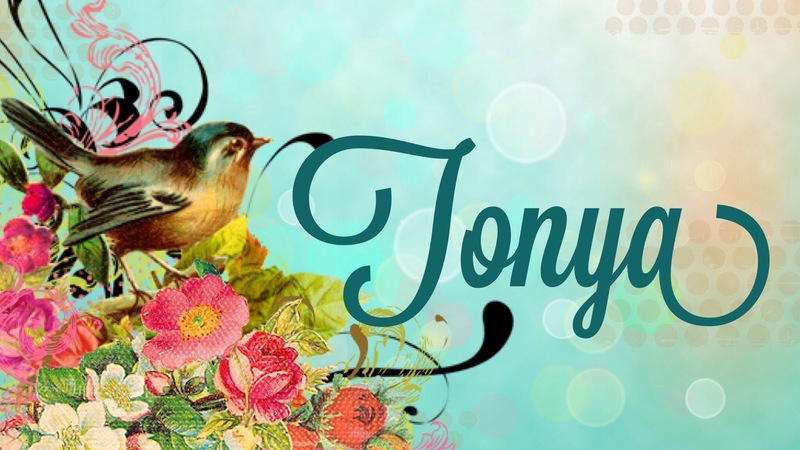 Find out how I created my card here. 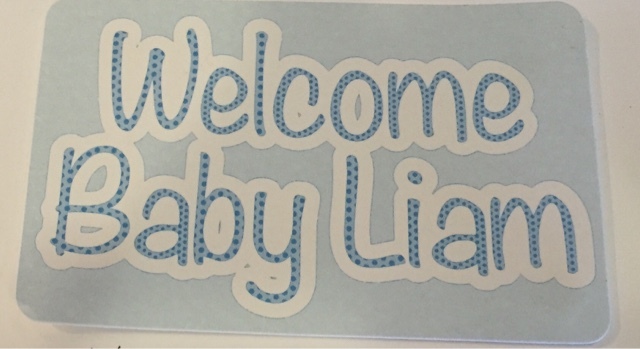 So I got the Silhouette Curio and it took me a bit to figure it out (I’ll be honest it wasn’t on my happy list) but I got it figured out enough to make a card & some baby stickers!! Has anyone else gotten the curio? Have you had any issues with figuring it out? I’m willing to keep playing though!!! !